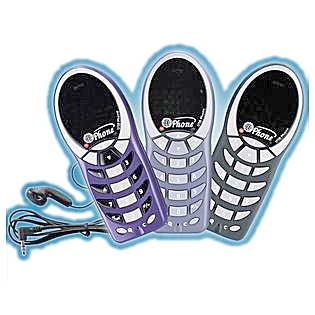 MInt-06-SX is a high quality USB hand phone with 4-polyphonic ring tones. Its fashionable appearance, easy-to-use design and euphonious melody will set you apart from others. Just plug it into your PC or laptop, and then you can enjoy the full features of Skype TM . • 12 classical 4-polyphonic ring tones catering to different tastes. • Rings loudly on an incoming call. • Fully functional keypad enables you to make/receive calls even easier. • Red Power LED and green Status LED. • Acoustically isolated earpiece and microphone to eliminate echo. • Full-duplex communication with crystal clear sound. • USB interface PnP. No external power/sound card needed. • Seamless integration with Skype TM and QQ. • Mic mute button for privacy protection. • Handy, chic, and portable for notebook PC. • Adjustable volume for earpiece and ringer. • Also compatible with many other PC-based softphone applications, such as MSN, Yahoo Message, Xten, Dialpad, MediaRing, Net2phone , etc. • Pentium 400MHz above processor/128MB RAM/16MB free hard disk capacity.